“The Beauty of the Jewish tradition is that it is not always precise and consistent,” says Rabbi Dr. Nathan Lopes Cardozo. “And that is a very wise thing. You have to have flexibility, because life is not clear-cut or coherent. Moving here, moving there, you work out the different opinions somehow, and you let it be. As such Jewish Law and beliefs stay fresh and thriving. A musical symphony. But the moment we codify or dogmatize it all, we are basically destroying it”. One of the areas where Dutch-Israeli Orthodox rabbi, philosopher, and Jewish scholar Nathan Lopes Cardozo differs from the Orthodox mainstream is the Torah’s commandments to annihilate whole peoples, such as the nations of Canaan and the mythical nation of Amalek, God’s proverbial enemy. Rabbi Dr. Nathan Lopes Cardozo: I believe that in the case where moral issues come up, there, even where the Torah says that we have to annihilate these people, whether it is Amalek or the nations of Canaan, my feeling is that these were challenges given to Moses and the people to see how they would react, in the same way as Abraham reacts in the case of Sodom and Gomorrah. God says, I’m going to wipe them out, and Abraham responds: Will the Judge of the world do such a thing? And God responds by saying, You have a point, let’s see what we can work out. And then you get this incredible dialogue, between Abraham and God on how many righteous people you need so He will keep the inhabitants alive… I think that should be the point of departure whenever we discuss moral issues in the Bible, related to our fellow man. There my feeling is that even when the Torah sometimes comes with requirements which are problematic from a moral point of view, that we have the option or even obligation, like Abraham, to say to God: Sorry, this won’t go with us. And my reading, which I understand is controversial, is that God is challenging these people: Let Me see how they’ll respond. Did you, people, understand My larger picture of righteousness? Are you understanding what I’m trying to say ? And as I did in the case of Abraham, when I challenged him by telling him I’m going to destroy Sodom and Gomorrah, and Abraham correctly said, No, or at least he was willing to fight it, so I hope and expect you do as well whenever I want you to annihilate people. We see this reflected in the sages’ opinion that these nations no longer exist and by doing so they declared these laws inoperative. After all such a law can’t operate unless you hear such a command from God Himself and not by tradition. (And how will you ever know that it is really God speaking?) Thirdly, did you object and fiercely protest? Interviewer: And yet shortly thereafter, God tells Abraham to execute his son Isaac, and gives him kudos for the fact that he tried to comply. NLC: I am of the opinion that Abraham, by being prepared to do so, to sacrifice his son, failed the test. I think that the reading of the binding of Isaac should be different from the conventional approach as some chassidic texts indeed seem to suggest . For an excellent overview read: The Fear, the Trembling and the Fire by my dear friend, Professor Jerome (Yehudah) I. Gellman, published by University Press of America in 1994. Int: God no longer speaks directly to Abraham after the binding of Isaac. Does he lose his prophecy? NLC: It seems he did. There are all sorts of psychological issues which take place after the incident with the binding of Isaac, which seem to mean that God was not so pleased with the outcome, even though He says, Now I know that you have fear of Me, but that may have a different meaning. It may even mean something like, now that you went for it, you showed you had the correct intentions, but you got My message wrong. But keep the following in mind, I only suggest such a reading when speaking about moral problems, but when you speak about Shabbat, holidays and other mitzvot, where there are no issues between the individual and his fellow man, there we do not have the right to say, we’re changing the commandments or refusing to accept these laws because they’re not convenient. CAN JEWS PERPETRATE A HOLOCAUST? Int: In the story of the prophet Shmuel and King Shaul, where Shaul has spared the life of Agag, king of Amalek, and Shmuel takes a sword and finishes the job — did Shmuel fail? NLC: What was it that Shaul did wrong, and why did God object to it? It seems that Shaul was more concerned with the animals he had acquired and kept alive than about the people he had killed. There is where the moral failure lies. It seems that Shmuel was of the opinion that Agag was liable for the death penalty. This is a very complicated story. I don’t think that Jewish tradition is always consistent, very often it is not. And I think there’s a reason for that, because it shows different sides of a very complex situation. The Russian British philosopher Isaiah Berlin, who was not religious but remained very close to his Judaism, has an essay about morality where he says that morality is much more complex than most people think it is. There’s no black and white — this is moral and this is immoral. It depends on your perspective, on how you walk into the problem. So there are cases where the complexity is so big that whatever you do, from one point of view it is morally correct and from another point of view it is absolutely morally unacceptable. So Berlin speaks about a trade-off, which every judge and every legal system has to make, to find a compromise: how much justice, how much mercy? A way in-between, by which you remove excessive damage on both sides and you’re left with a compromise which is far from ideal, but that’s part of the human condition. There is no such thing as black and white responses to these sorts of issues, and I think that plays a role in Jewish law as well. We have to deal with clashing Jewish moral forces. There are reasons to annihilate Amalek and there are reasons why not to do so, especially when it comes to their women and children. (I even wonder whether this really happened since there are sources that Amalek is a theoretical concept and not a physical reality.) But because there’s this tension of how you look into the story, which is purely subjective, therefore in the end you will have to find a way in-between. Shmuel is right and wrong at the same time. God says to him, Shmuel, I understand your point of view, I will let you get away with it. But don’t think that this is the ideal outcome. Under human circumstances we have to wipe out these people of Amalek, they are very dangerous, even in the future, and at the same time we have to keep them alive because who can say that all of them will be evil? Some may study Torah in Bnei Berak! Int: What do you mean? 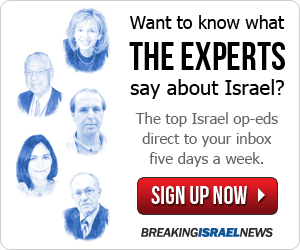 Amalek’s grandchildren studied Torah and were religious Jews? NLC: Yes. Jewish Law discusses the question of what to do in case an Amalekite wants to become Jewish, and several authorities believe that we have an obligation to convert him as long as he has no blood on his hands!! The Talmud in Gitin (57b) and in Sanhedrin (96b) makes the observation that the grandchildren of Haman, the Amalekite, were studying in the Beth Midrash in Bnei Berak. This observation is most telling. It shows the ambivalence of the Jewish tradition towards its arch enemy. Shall we really annihilate this nation and its children? See what happened to its descendants!!! They were great Talmudic scholars! Int: Are you suggesting that there is a Jewish morality outside the realm of the commandments? NLC: Yes, I think there is, in the sense that there are certain intuitive moral feelings that human beings have, Jews and non-Jews, which are of great importance, and which do play a role in the halakhic decision making process. While there is no doubt that our moral instinct is often very subjective and we may often disagree, there are surely cases where we do agree. Killing innocent children and women is one of them. Still there is much in the Jewish tradition which believes that our moral intuition may be the voice of God even in cases which are not as extreme. If you look into the works of the great poskim (halakhic authorities), you see differences of opinions between them. It is because of their intuitive moral approach to certain issues. Sometimes a posek will say, I have to find a heter (lenient ruling) for this problem. He may even have made up his mind how he wants the decision to be before he starts to investigate. And then he looks around all the arguments to justify his position and puts it in an halakhic framework, after which he exclaims: You see, I was right in what I said at the beginning! He knows quite well that the arguments were all colored by his need to come to a lenient conclusion. And the beauty of this is that this is completely legitimate within Judaism. You see it with Rabbi Moshe Feinstein, you see it in some very Haredi literature as well, it all has to do with a philosophical and ideological attitude which is deeply influenced by the moral intuition of these particular people, and that’s also why there are tremendous differences between the Ashkenazi and the Sephardi poskim. The Ashkenazi outlook to life is much more pessimistic than the Sephardi one. This has its roots in their different experiences in the countries from which they hail, and consequently we find different halachic responses. There’s an ideology to halakha. And there are different opinions as to what that ideology is. The halakha tells us what to do and what not to do. But it is often a much larger weltanschauung, an outlook to life, which lies behind these halakhic requirements. They are never clearly stated anywhere in the Torah, unless they are stated in very general terms, such as ‘you must be holy’, but that still requires an explanation about what holiness really is. So ideologies play a great role. The ideological differences between the Haredi and the national-religious rabbis concerning the State of Israel’s religious meaning is a good example. Int: Are we practicing halakha the way we should? I think that is a most important statement, which the yeshiva world has totally forgotten. And this has a lot to do with the codification problem. I’ve written at length about this problem. See my new book: Jewish Law as Rebellion. Urim Publications) The Shulkhan Arukh (“Set Table,” the most widely consulted Jewish legal code, published in 1563) was meant at the time to be the abbreviated halakhic guide for the layman. It was the product of an historical development. Since we were living in the Diaspora, we had to make sure that Jews would somehow live within the same framework where they were doing more or less the same things, to keep this little nation alive. It required erecting big walls around us to keep the non-Jews and their influence out. So the Shulkhan Arukh, a basic Jewish code, is a typical sociological outcome of a diaspora condition . The Shulkhan Arukh at the time correctly said, we need to make sure that we all operate within the same framework and that requires conformity. This is the only way we can create the powerhouse required to keep us alive among a largely anti-Semitic world. Both the Shulkhan Arukh and earlier Maimonides’ famous codification of Jewish Law, the Mishneh Torah (“Repetition of the Torah,” a code of Jewish religious law compiled between 1170 and 1180) are tremendous scholarly achievements. But what Maimonides did was extremely dangerous. By writing down the Mishneh Torah, Maimonides finalized the halakha. He basically said, this is the halakha and nothing else. He even wrote in the forward to this masterpiece, that there is no longer any need to study the Talmud because he had put it all in front of us. Here it is! For once and for all. He provides no minority opinions, and decides on his own, as the greatest talmudic genius of his time, and we—after a period of resistance when his books were burned in some communities—have turned him into an halachic idol: If Maimonides says so, then there’s nothing left to discuss. We canonized him. We never had, as the Catholic Church did, a particular body such as a conclave which decided these matters. Not even in the days of the Sanhedrin. With us it was always fluid. A matter of moving forward and going back and so on. You actually see it if you look in the Shulkhan Arukh, and you look into Maimonides, the commentators around the texts often take issue with them. But they can’t stand up against Maimonides; he is too overpowering. 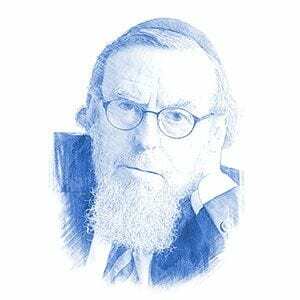 The same is true with his famous thirteen principles of faith: he dogmatizes Jewish belief and by doing so creates a crisis in Judaism for which we still pay a heavy price. Since when are there finalized Jewish beliefs? There are none.